We all deal with our emotions differently. So it makes sense that our subconscious minds are also unique. 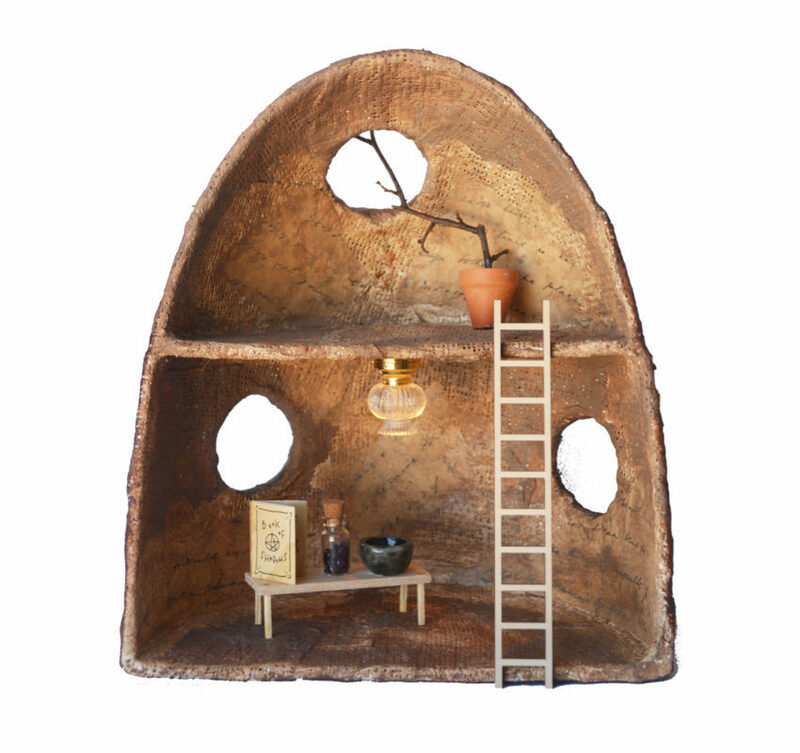 Subconscious Dwellings is a solo show by Taylored Curiosities featuring original dollhouses, handmade with textures that give them an organic, ‘subconscious’ feel. Each house is a unique design and one of a kind, with miniature details and furniture that are a mix of up-cycled and handmade items. Teaching art by day and creating art by night, Taylored Curiosities produces mixed media creations based in fictional, quirky worlds, sprung from the depths of her bizzare imagination. With a strong emphasis on anxiety aids and mental health awareness, she brings to life a variety of beings that help to reduce the stresses of everyday life, and to highlight some of the struggles we aren’t always encouraged to talk about.